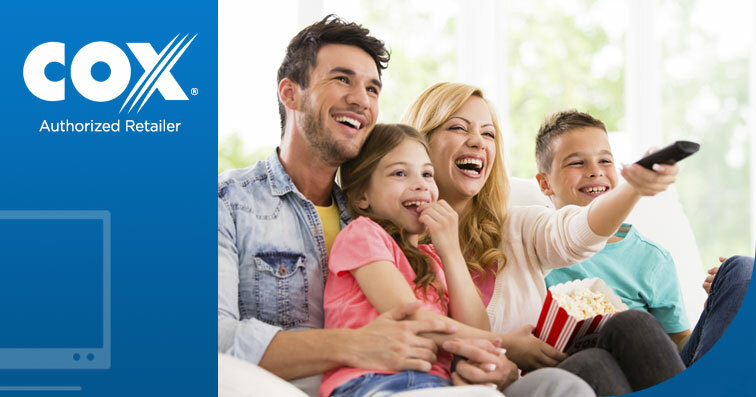 Cox TV offers a variety of movie channels to choose from. *Restrictions apply. Pricing subject to change. Call for details. Available only in Cox wired, serviceable, residential areas. Most promotional prices cannot be combined with promotional prices for other services. The regular rate for this service may apply if another promotional service is added to your cart. Offer expires 10/31/2016 and is available to new residential customers in Cox service areas. $159.99/month for 12 months is only available for new subscriptions to Cox Advanced TV, Internet Ultimate, and Phone Premier to complete the 3-service bundle. Bundle rate increases $30/month for months 13-24. 2-year service agreement required. Early termination fees may apply. Offer includes HBO & Cinemax premium channels. Equipment fees extra. After promotional period, regular rates apply. See www.cox.com. Free install limited to standard pro install on prewired outlets. Prices exclude additional installation/activation fees, equipment charges, inside wiring fees, additional outlets, taxes, surcharges and other fees. Not all services and features available everywhere; A credit check and/or deposit may be required. Offer may not be combined with other offers, discounts or promotions. HBO®, Cinemax® and related channels and service marks are the property of Home Box Office, Inc. Other restrictions may apply. Price Lock service agreement required. Early termination fees of up to $240 prorated over the life of the agreement may apply if after 30 days you cancel the agreement or drop Cox TV Starter, Internet or Basic Phone. After promotional period, your rate will increase to the Price Lock rate for the remaining term of the agreement. Most promotional prices cannot be combined with promotional prices for other services. The regular rate for this service may apply if another promotional service is added to your cart. Offer expires 10/31/2016 and is available to new residential customers in Cox service areas. $124.99/month for 12 months is only available for new subscriptions to Cox Advanced TV, Internet Premier, and Phone Essential to complete the 3-service bundle. Bundle rate increases $30/month for months 13-24. 2-year service agreement required. Early termination fees may apply. Offer includes HBO & Cinemax premium channels. Equipment fees extra. After promotional period, regular rates apply. See www.cox.com. Free install limited to standard pro install on prewired outlets. Prices exclude additional installation/activation fees, equipment charges, inside wiring fees, additional outlets, taxes, surcharges and other fees. Not all services and features available everywhere. A credit check and/or deposit may be required. Offer may not be combined with other offers, discounts or promotions. HBO®, Cinemax® and related channels and service marks are the property of Home Box Office, Inc. Online orders only. Other restrictions may apply. Price Lock service agreement required. Early termination fees of up to $240 prorated over the life of the agreement may apply if after 30 days you cancel the agreement or drop Cox TV Starter, Internet or Basic Phone. After promotional period, your rate will increase to the Price Lock rate for the remaining term of the agreement. Installation/Activation, per-use charges, usage charges, overage charges, taxes, other fees and surcharges are excluded from Price Lock. The Price Lock agreement is on www.cox.com under Policies. Most promotional prices cannot be combined with promotional prices for other services. The regular rate for this service may apply if another promotional service is added to your cart. Offer expires 10/31/2016 and is available to new residential customers in Cox service areas. $99.99/month for 12 months is only available for new subscriptions to Cox Advanced TV, Internet Preferred, and Phone Essential to complete the 3-service bundle. Bundle rate increases $30/month for months 13-24. 2-year service agreement required. Early termination fees may apply. Equipment fees extra. Free install limited to standard pro install on prewired outlets. HBO included at no additional charge. After promotional period, regular rates apply. See www.cox.com. Prices exclude additional installation/activation fees, equipment charges, inside wiring fees, additional outlets, taxes, surcharges and other fees. Not all services and features available everywhere. A credit check and/or deposit may be required. Offer may not be combined with other offers, discounts or promotions. HBO® and related channels and service marks are the property of Home Box Office, Inc. Other restrictions may apply. Limited-time offer available only to residential customers in participating Cox service areas who sign up for Cox service via this retailer. Equipment charges not included. If you own a One-way Digital Cable Ready TV or other display device that is CableCARD-compatible, you may rent either a CableCARD or a digital set top receiver to receive Cox [Advanced TV/Digital Cable]. Interactive TV features, such as the Interactive Programming Guide, On DEMAND, and Pay-Per-View, and certain digital programming require rental of a digital receiver. If you wish to rent a CableCARD, you must obtain it from Cox. CableCARD is a registered trademark of Cable Television Laboratories, Inc. (CableLabs®) and is used with permission. Separate subscription to a premium channel required to receive its corresponding On DEMAND and HD programming. Some On DEMAND programming may require an additional charge. A digital or HD receiver is not required to tune local HD channels with clear QAM HDTV sets. An HDTV set and an HD receiver or CableCARD™ rental required in order to access other HD programming. DVR receiver rental required for DVR service. Monthly DVR service fee per DVR receiver applies. On DEMAND and Music Choice channels cannot be recorded. Number of digital outlets per household may be limited. Cable modem required for Cox High Speed Internet services. For best performance, use of Cox approved cable modem is recommended. Cox cannot guarantee uninterrupted or error-free Internet service, or the speed of your service. Actual speeds vary. PowerBoost is available only to residential Cox High Speed Internet Preferred and higher speed customers. PowerBoost temporarily increases your download speeds for the first 18 - 22 MB of a file when extra bandwidth is available and is a registered trademark of Comcast Corporation, used with permission. Telephone modem equipment may be required for Cox Digital Telephone service and will be provided by Cox at no additional cost. Telephone modem uses household electrical power to operate and has backup battery power provided by Cox if electricity is interrupted. Telephone service, including access to e911 service, will not be available during an extended power outage or if the modem is moved or inoperable. Installation, inside wiring fees, additional jacks, taxes and surcharges are extra. Telephone service provided by an affiliated COX entity. Not all services, features, or programming may be available everywhere. A credit check and/or deposit may be required. Customers must accept Cox’s Terms and Conditions for service prior to service activation. Most promotional prices cannot be combined with promotional prices for other services. The regular rate for this service may apply if another promotional service is added to your cart. Offer expires 10/31/2016 and is available to new residential customers in Cox service areas. $64.99/month for 12 months is only available for new subscriptions to Cox TV Economy. TV Economy consists of TV Starter service and select cable networks from Cox TV Essential. A Cox digital receiver is reflected in the advertised retail price. Other equipment options are available and prices may vary. After promotion period, regular rates apply. See www.cox.com Prices exclude installation/activation fees, equipment charges, inside wiring fees, add’l outlets, taxes, surcharges and other fees. Not all services and features available everywhere. A credit check and/or deposit may be required. Offer not combinable with other product offers. Other restrictions may apply. Most promotional prices cannot be combined with promotional prices for other services. The regular rate for this service may apply if another promotional service is added to your cart. Offer expires 6/30/2016 and is available to new residential customers in Cox serviceable areas. $39.99/month for 12 months applies to new subscription to Cox High Speed Internet Essential service. After 12 months, regular rates apply. Prices exclude additional installation/activation fees, equipment charges, inside wiring fees, additional outlets, taxes, surcharges and other fees. Not all services and features available everywhere. A credit check and/or deposit may be required. Other restrictions may apply. Cable modem required for Internet services. For best performance, use of Cox approved cable modem is recommended. A DOCSIS 3 modem is required to consistently receive optimal speeds for Preferred and higher tiers, and is strongly recommended for all other tiers. Uninterrupted or error-free Internet service, or the speed of your service, is not guaranteed. Actual speeds vary. Prices exclude installation/activation fees, long distance/international calls, directory assistance, usage fees, inside wiring fees, additional jacks, taxes, surcharges and other fees. Telephone modem required and will be provided for the duration of phone service subscription. Upon disconnection of phone service, modem must be returned within 30 days or a monthly rental fee or lost equipment charge will apply. Modem uses household electrical power to operate. Telephone service, including access to e911 service, will not be available during a power outage without a battery or if the modem is moved or inoperable. New modem installs do not come with a battery. You may purchase a battery from Cox or, if you are a Lifeline customer, obtain a battery from Cox without charge. You must monitor and replace the battery as needed (see www.cox.com/battery). Telephone service provided by an affiliated Cox entity. A credit check and/or deposit may be required. Offer not combinable with other offers. Other restrictions may apply. Available only to residential customers in Cox service areas. Telephone modem equipment may be required and will be provided by Cox at no additional cost. Telephone modem uses household electrical power to operate and has backup battery power provided by Cox if electricity is interrupted. Telephone service, including access to e911 service, will not be available during an extended power outage or if the modem is moved or inoperable. Installation, inside wiring fees, additional jacks, taxes and surcharges are additional. All services and features may not be available in all areas. Other restrictions may apply. Telephone service provided by an affiliated Cox entity.